Forehand and Wadsworth Old model army in cal 44 Russian centerfire. Less then a 1000 made. The 7 1/2 inch barrel has a sharp adress. I thought you might like to have some photos and information on the rather unknown, but quality gunmaking company of Forehand & Wadsworth. Each of these men, Forehand and Wadsworth, married daughters of Ethan Allen and in 1865 they joined the firm which was renamed Ethan Allen & Co. (previously Allen & Wheelock). In 1871 the firm became Forehand & Wadsworth on the death of Ethan Allen. The later guns manufactured by the Forehand Arms Co. (1890-1898) were not as important as the earlier weapons designed and made in the 1870s. A few Forehand & Wadsworth Bulldog and "Saturday-Night Specials" can still be found on the market today. 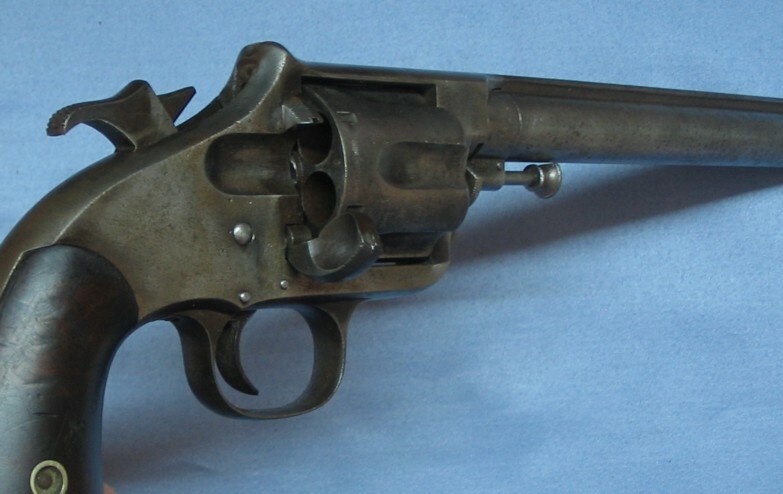 What are especially difficult to find, and of great quality, are the F&W Old Army and New Army Single Action Revolvers made from the mid 1870s into the 1880s. I am sending here photos of a Forehand & Wadsworth Old Model Army 44 Russian Single Action Revolver that is with my brother Dave in Oregon. 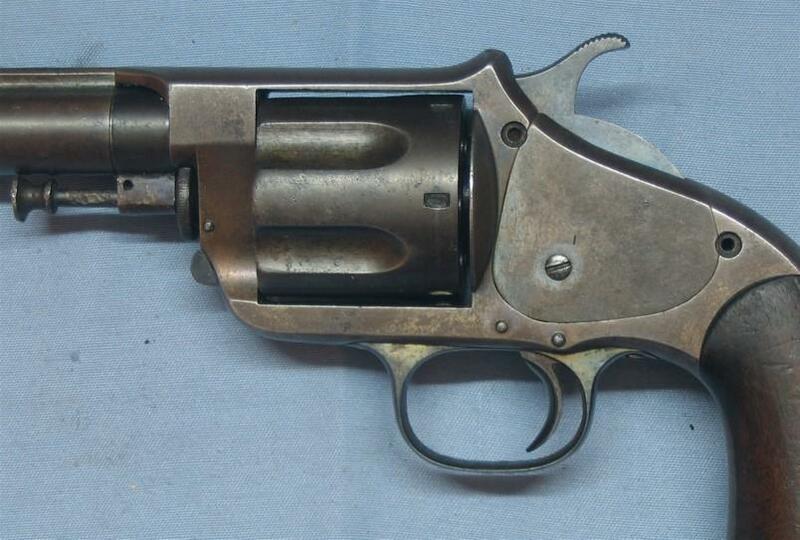 Less than a thousand of these were made and they were known as rugged frontier guns. Some have been found that have a bear stamped on the frame and are thought to have been used by the California militia. The photos that I am sending are of a F&W that has Argentine Army stamps on the frame. This is the only revolver with these stamps of which we are aware. We do know that Argentine Army (Ejército Argentino) officers often ordered their own side-arms, and some of these were purchased from US companies. 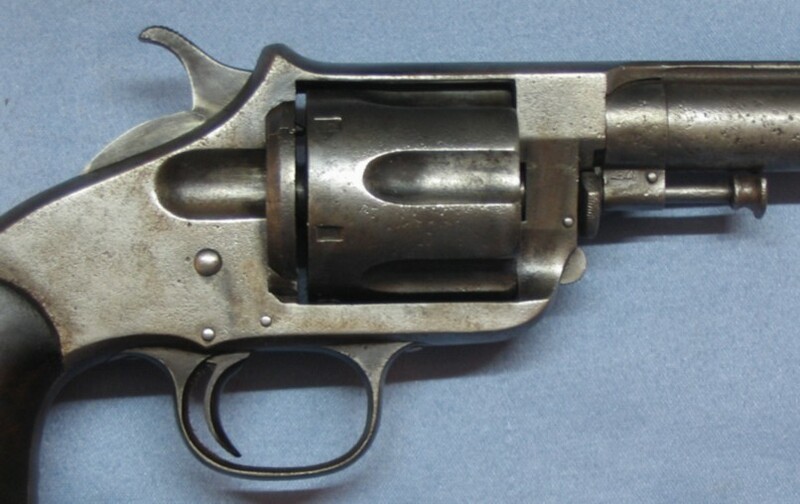 Forehand & Wadsworth Old Model Army Single Action Revolver, cal 44 Russian, serial #943, barrel 7 1/2 inches, overall 12 3/4 inches, manufactured c1875, Referred to and referenced on page 383 of "Flayderman's Guide to Antique American Firearms" 7th Edition, by Norm Flayderman, Krause Publications, Iola, WI, (1998), matching serial numbers (under barrel, back of cylinder, inside both grips, left side of action, inside side plate, on hammer, etc. 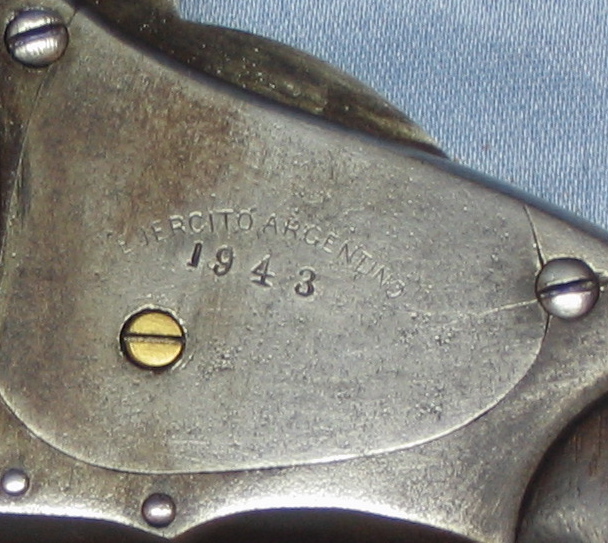 ), marked on left frame: "EJERCITO ARGENTINO 1943"
I am assuming that the number 1943 was stamped to register this as an Argentine Army revolver by adding the number 1 to the serial number of 943 that was already on the revolver. 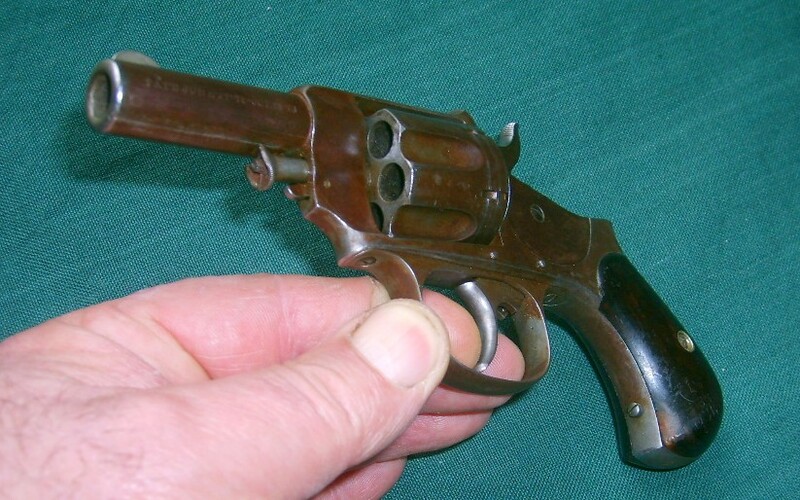 No Forehand & Wadsworth Old Model Army revolvers are known with serial numbers in the thousands, let alone close to 2000. This is another, quite rare specimen of Forehand&Wadsworth. It is the "Double Action Model n° 32". 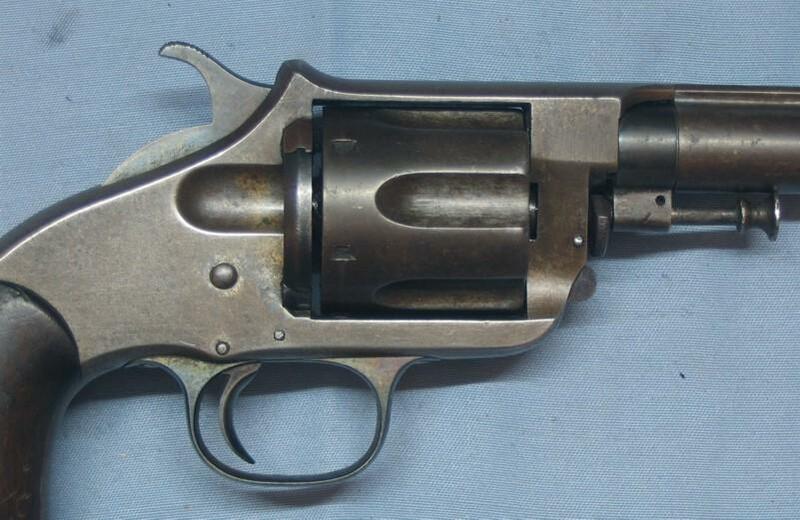 It is a double-action revolver, chambered for the .32 rimfire cartridge. 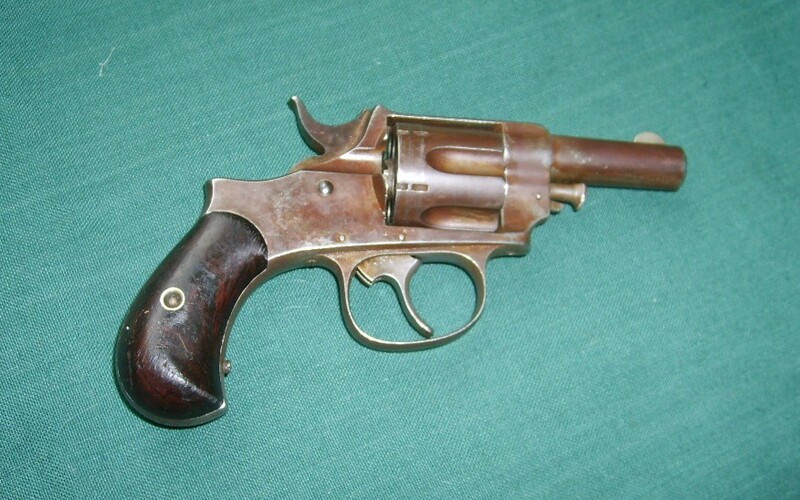 The blued variant with birdshead grips is quite uncommon. It is a six-shooter. A compact and sturdy weapon, very well designed and made, ideal for personal defense or police purposes. Although a double-action, the hammer has a halfcock notch, that acts as a safety notch and also frees the cylinder for loading. The gun has no loading gate; instead, it has a simple opening cut into the right part of the rear shield. The location of the opening in the shield prevents the cartridges to fall out of the chambers when the gun is used. A French firm manufactures the necessary to reload this type of ammunition. I am sending here a few photos of another Forehand & Wadsworth Old Army in 44 Russian. This one is in fine shape other than missing a few screws for the side plate. 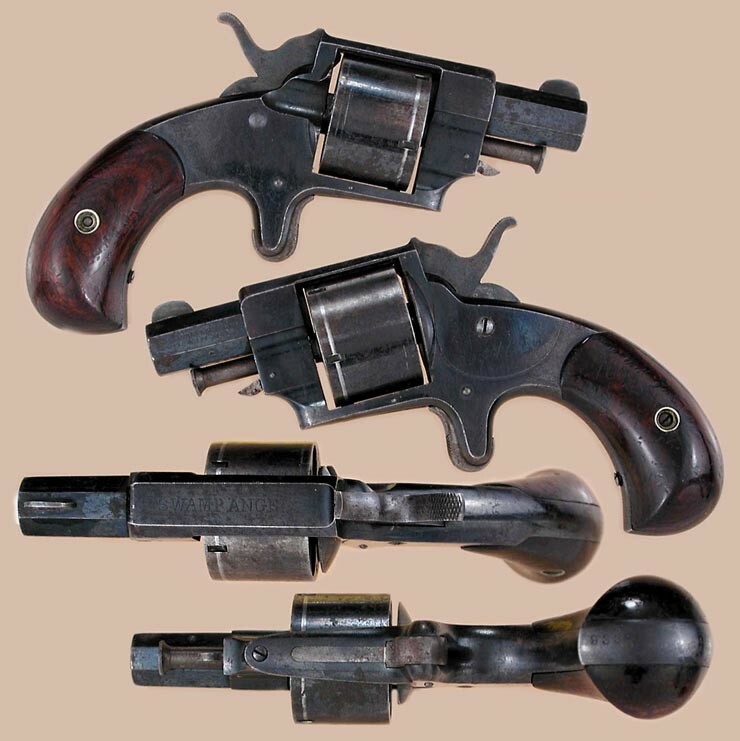 Since sending the information on the other Forehand last year we have found out some very interesting information on these rare revolvers - one must always keep an open mind because new information has a way of keeping one both humble and objective. First, when we sent the other photos they were of the first Forehand & Wadsworth Old Army we had seen with Argentine Army markings (Ejercito Argentino and the serial number repeated on the side plate with an extra 1 before the number). We thought that this was an exceptionally rare Forehand and Wadsworth (they are all unusual and rare, of course). Now we have found out that in reality a majority of the Forehand & Wadsworth Old Army revolvers were sold to the Argentine military. Forehand and Wadsworth could not interest the US Military in their products so they sent most of the production of this piece to So. America. It was precisely because of their failure to interest the US Military in any contracts for this gun that it became a rare piece, because less than a thousand were eventually manufactured by the company. 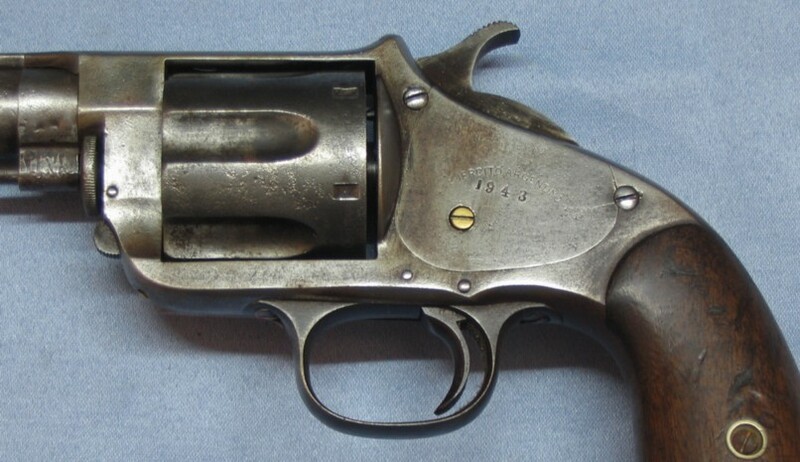 On this particular revolver the Argentine Military marks are not there - but whoever in Buenos Aires was providing these to the Military was actually getting ready to complete a sale, because on the side plate there is engraved the number 1, precisely in the same spot where it appears ahead of the serial number on other F&W revolvers that were in Argentine military service. 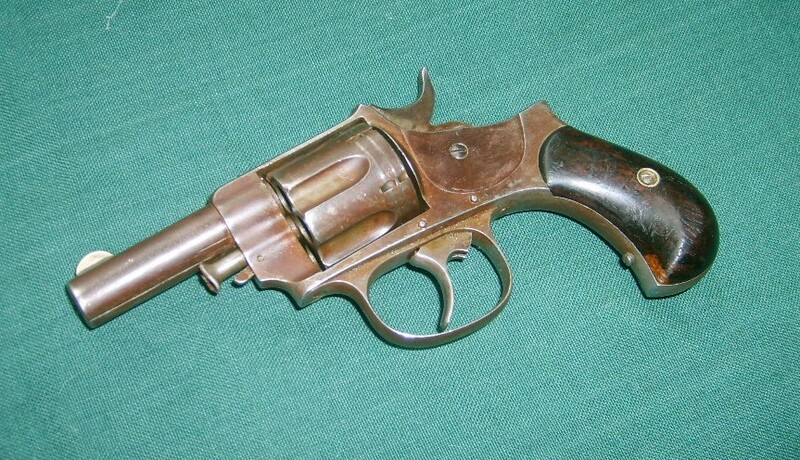 It would make an interesting story to know just why this particular revolver never did end up as an official military side-arm. The pristine bore on this gun indicates that it did not do much service for any country's army, or for anyone else for that matter. Perhaps the Argentine Military needed the two screws that are missing on the side plate rather than the whole gun. The other matter that has come to our attention through a collector of these guns is the story behind the bear that is found stamped on a few of the Forehand & Wadsworth Old Army revolvers. The bear has nothing to do with the California Militia as has been surmised by some, rather it was a visual mark placed there by the manufacturers to indicate that it was chambered for the 44 "Russian" cartridges, the bear being the symbol of Russia. I have not yet seen one of these with the bear stamp, evidently none came to So. America. Forehand & Wadsworth "Swamp Angel" Spur Trigger Revolver: .41 cal. rimfire, five-shot, rd. cyl. The 1 5/8" oct. barrel retains the Forehand & Wadsworth address.